I started my business, Jenny Fischbach Design, in 2012 after spending 16 years working at Cullman & Kravis. Interior Design is in my DNA. In High School, I always found myself getting to parties late because I would continually rearrange my room. My first internship was an incredible experience working for Jane Churchill in London. Post college I considered going to work on Wall Street before committing to interior design. Most interior designers love to shop…I love tracking the budget. Every project is different, so there’s a sense of adventure with each new client, which keeps me motivated. 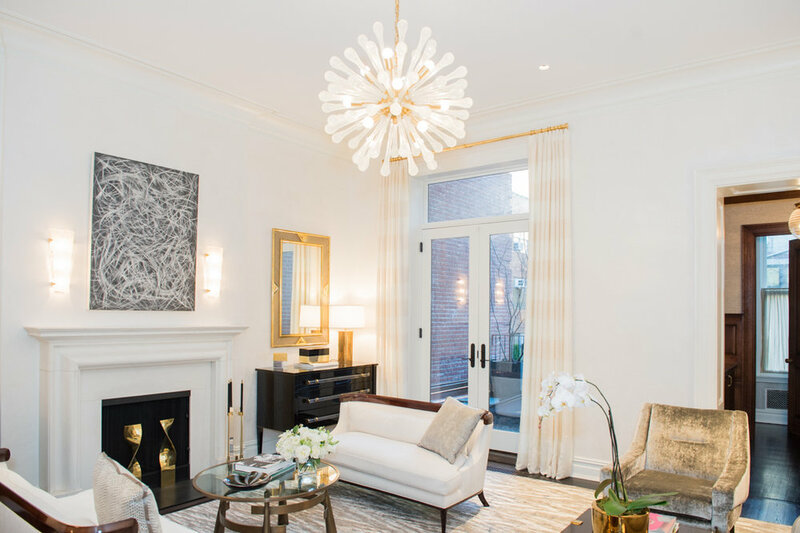 I listen closely and collaborate with each client to create beautiful spaces that are curated and tailored to suit their lifestyle and design aesthetic. A client should enjoy the process. I feel strongly that you are only as good as who you surround yourself with. I have been fortunate enough to work with unbelievable clients, architects, contractors, owner’s reps and vendors. I love managing the construction but the highlight is the installation and handover when you see how the client responds to the home we have created together. I stress about the small stuff so they don’t have to. Having two children I understand how a family home should be designed. I focus on the durability and the functionality of every detail on every project. Tears of joy at a handover. What’s meant to be is meant to be. I think multi-tasking is the only way to make it through the day. Running my own business and having kids is a juggling act and the more you juggle the more efficient you need to become.